← Angelina Jolie: There Is Nothing Like A Dame! My first acting job was at the Open Air Theatre in Regent’s Park, London, in the summer of 1986. The backdrop of rustling trees and the chorus of nature all around make it the perfect setting for A Midsummer Night’s Dream, one of the plays I was in that season. Well, I was sort of in it. For the most part I sat at the back of the stage occasionally bashing a cymbal, while the rest of the cast had all the fun of telling Shakespeare’s magical tale of confused love and supernatural shenanigans. I was an acting assistant stage manager, which meant I helped lay out the props before the show and understudied one of the principals. The part I covered was Lysander, played by Ralph Fiennes. That autumn we took the play on tour round Europe, Ralph now promoted to Oberon, with me as Lysander. On some nights, downpours would add a splash of authenticity to Titania’s speech about the seasons having gone askew because of the rift between her and the King of the Fairies. At these performances the text became particularly vivid for the audience, many of whom had left home without a brolly. If such moments can make Shakespeare’s plays seem more alive, then the classroom can all too often be the death of him. I know I’m not the only one who had to read aloud, line by line round the class, until Sir threw his chalk at someone for nodding off. Treating these plays like holy scripture, to be revered, can deter the newcomer for ever. Shakespeare was a jobbing actor and a commercial playwright, used to shaping plays in rehearsal, cutting and rewriting, in a collective effort to give the audience what they wanted. And back in the early 17th century what the audience wanted was comedy and romance, thrills and spills, blood and guts. Sound familiar? Shakespeare gives us just as much politicking, intrigue, lust and violence as you’ll find in any episode of Game of Thrones. From the aching young love of Romeo and Juliet, to the vomit-inducing barbarity, complete with severed hands and human pies, of Titus Andronicus. And in between, giddy farces, epic histories and comedies full of warmth and melancholy. His writing reminds us of the richness of humanity, of the potential for evil and for compassion that resides within us all. And his plays are as shocking, in yer face, touching and funny now as when the gasps and sobs and laughs were first generated 400 years ago. As an actor it’s intoxicating to sense Shakespeare the director reaching down the centuries to offer a guiding hand, through the text: how the pulse of the iambic pentameter illuminates the meaning; when he switches from blank verse to prose and back again; the effect of rhymes on tempo and tone — all pointers to the nature of a character and the intention of a scene. And before you write in and say it’s all nonsense because the texts are corrupt and went through many hands before they were printed and anyway someone else was the author and… and… and so there. Sit in your ivory tower and purse your lemon lips. I’m just thrilled that we have any version of these plays, so that each successive generation can put them on their feet and reinterpret them for today. Because the stories they tell are universal and timeless. As universal and timeless as you, Mr Bonneville! Hugh keeps himself busy in between seasons of Downton with his next outting being Mr. Brown in Paddington which is due in cinemas this Christmas. I do hope we’ll be reading more articles from Lord Grantham in the future! Lady Anglophile…practicing her iambic pentameter now! 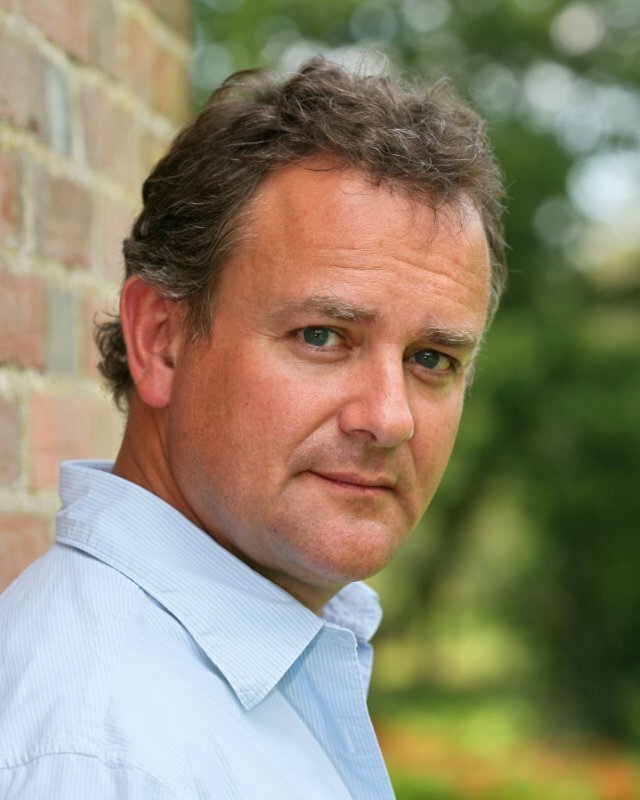 This entry was posted in Home Page Posts and tagged Downton Abbey, Hugh Bonneville, Shakespeare. Bookmark the permalink. As long as words are made of breath.